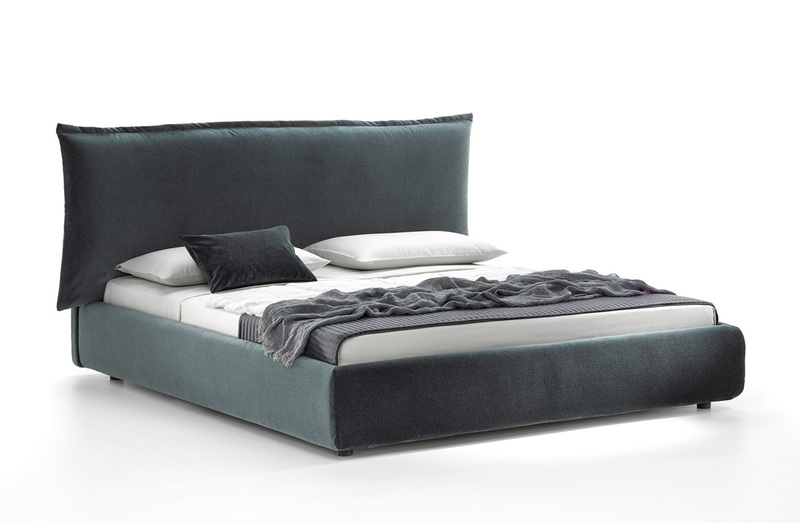 Upholstered bed with fully removable fabric slipcover, or fixed leather upholstery. Available to order with single or double headboard, in Queen. King, or Cal King size.